José Luis dos Santos was driving his wife to work early one January morning in 2012 when their son called to say that armed militiamen had arrived to demolish the family’s new brick home. “They are the guards for Suape,” the boy says, referring not to police but to a private security service—area residents refer to it as a militia—hired by the state-run Suape Port and Industrial Complex. Dos Santos worried about the safety of his youngest children, ages five and seven. “They yelled at [the kids] as if they were dogs,” dos Santos tells Pacific Standard. “They threatened to hit my son on the head.” The guards, he says, were backed up by a pair of local police officers. Like thousands of others in this coastal swath of northeastern Brazil, where coconut palms and the color of the ocean make the beaches look like the photos of paradise that show up so often as screen-savers in office cubicles, dos Santos was born and raised here. Broad-shouldered and standing only about 5&apos;8”, he earns a living as a farmer and a community health worker. He, his wife, and their five children live in an adobe house on a 20-hectare farm that he took over when his mother died. 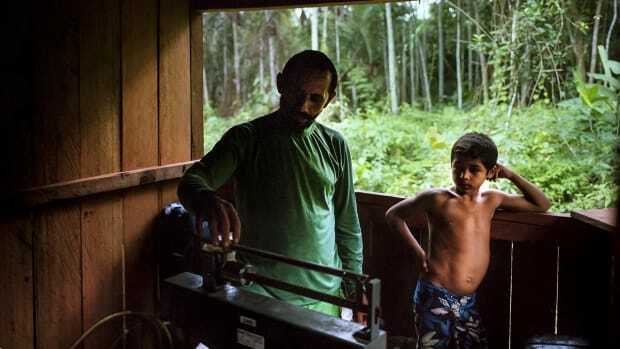 One-hundred-fifty coconut palms, 800 cashew, and 100 mango trees provide the family&apos;s main income, supplemented by cassava and sweet potato crops. The northeast is one of Brazil&apos;s poorest regions, and there is a clear racial dividing line between the region&apos;s elite and its poor. Traditional fisher folk and small-scale farmers like dos Santos, many of them descendants of slaves who worked on sugar plantations, have been living off the bounty of the land and sea for centuries. This subsistence lifestyle has allowed these communities to live with dignity and to avoid the glaring economic disparities and misery found in the Pernambuco state capital of Recife, a two-hour drive away. "We see the government acting in a very authoritarian manner. The project was imposed, starting with the plans from the upper levels of Brazilian politics and involving local realities very little." Dos Santos’ agrarian lifestyle harkens back to the early days of industrialization in North America and Europe. So does the brutality of his eviction. 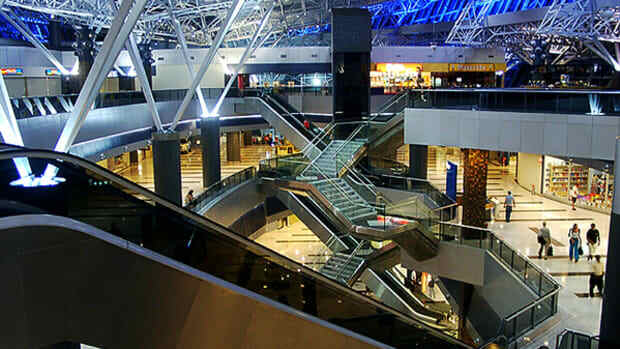 And so do the social ills that accompany the region’s economic advance. 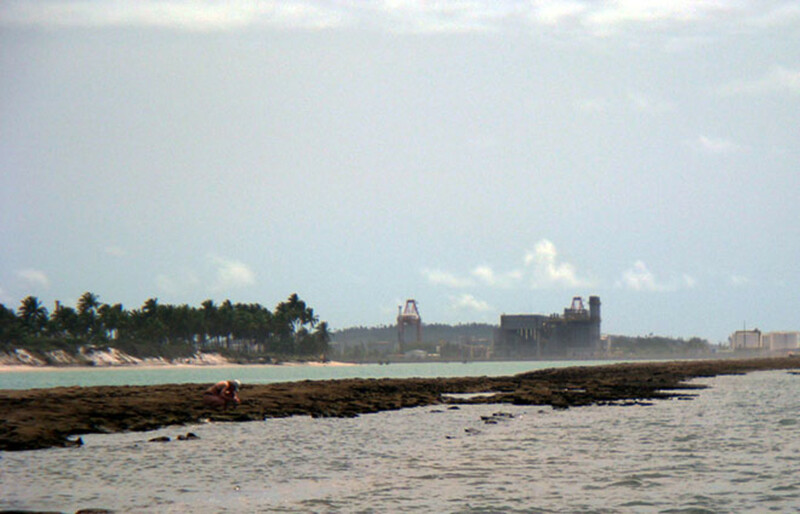 In the 1970s, Brazil’s right-leaning military government selected the Suape area for a new international port, moving these activities away from Recife. Later, during the aughts and under the left-leaning government of Luiz Inácio Lula da Silva, the Suape Port and Industrial Complex received an enormous injection of cash: Between 2007 and 2013 the state and federal governments poured in two billion Reals (approximately $893 million at current rates). Suape expanded and brought in new businesses such as Coca-Cola, two shipbuilders, and an oil refinery. Brazil aimed to position itself within the global economy; a combination of port and industrial hub made sense for that strategy. Massive oil deposits discovered off the coast in 2007, on top of Brazil&apos;s inability to refine enough fuel for domestic consumption, only accentuated the urgency of developing critical infrastructure like the Suape complex. Income for the municipalities in the region has shown steady upward movement over the past decade. But that’s come at a price that isn’t measured in Reals. Social service providers and activists in the area say that there are also a range of negative social and environmental impacts, and not just the thousands of families who have been displaced while rents have skyrocketed. Women&apos;s advocates say gender-based violence has increased (but public records requests to verify this were not fulfilled in time for publication). Area residents also talk about drug-related crime. “If the government doesn&apos;t undertake forms of working with these groups of people who are outside ... the losers in this project, we&apos;re going to have very dramatic social conflicts,” says Helenilda Cavalcanti, a sociologist with the Joaquim Nabuco Foundation. One of the phenomena that Cavalcanti described is what she calls “Suape&apos;s children.” Tens of thousands of male workers arrived in the area to take temporary construction jobs. In Cavalcanti&apos;s view, there was little thought given to how these men would integrate into the community and take care of their emotional and physical needs. According to Nivete Azevedo, executive director of the Cabo de Santo Agostinho Women&apos;s Center, adolescent girls in the area are particularly vulnerable to sexual exploitation because they believe that a relationship with a port worker represents real love and a stable future. Cavalcanti and Azevedo agree that the babies born from these relationships often end up fatherless, leaving a young mother and her family to take responsibility. Meanwhile, even local residents with roots and presumed resilience are suffering. In September 2013, the state government&apos;s environmental agency fined the port and industrial complex 2.5 million Reals (roughly US$1.1 million) because of its slash-and-burn methods for meeting industrial demands for land and sea, exemplified by the dynamiting of a section of coral reef near the port. Port officials said that this fine was unjustified, and they have filed an appeal. Area residents, however, say that shark attacks in Recife are directly linked to their displacement from the Suape area. Dos Santos&apos; experience fits within this context. Suape&apos;s 2009 master plan identified 7,000 families living on the state-run company&apos;s 13,500 hectares. Of these, 2,500 families were slated for removal from areas identified as environmentally protected or industrial locations. But these removals were often not voluntary and were sometimes violent, reflecting an authoritarian approach to decision-making and development. 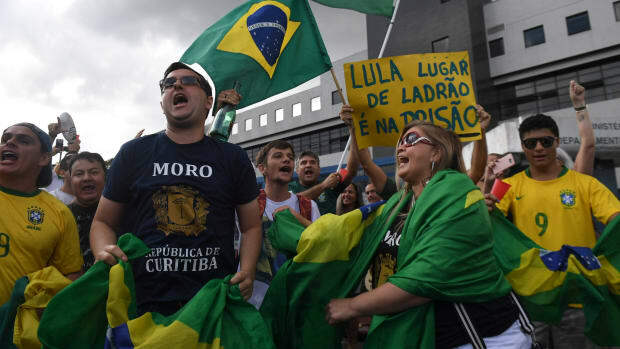 Local news outlets, such as the Jornal do Commercio, have reported on security guards who quit because they were ordered to carry out such evictions while armed. The paper has also published dos Santos&apos; account and noted that complaints about armed security were filed with the watchdog Public Ministry in 2012. The paper&apos;s reporting includes an interview with a state official who says that dos Santos&apos; new home was demolished because he didn&apos;t request permission before building it. Port officials deny the use of violence and point to illegal occupation of the land by newcomers who aim to take advantage of the situation for a quick profit. Cozic is a geographer at the Federal University of Pernambuco who specializes in ports. He&apos;s known as a moderate when it comes to his position on Suape and its impact, but in our interview, he pulled no punches. Stressing that dialogue is critical to sustainable development, he lamented how the Suape process is playing out. Adolescent girls in the area are particularly vulnerable to sexual exploitation because they believe that a relationship with a port worker represents real love and a stable future. 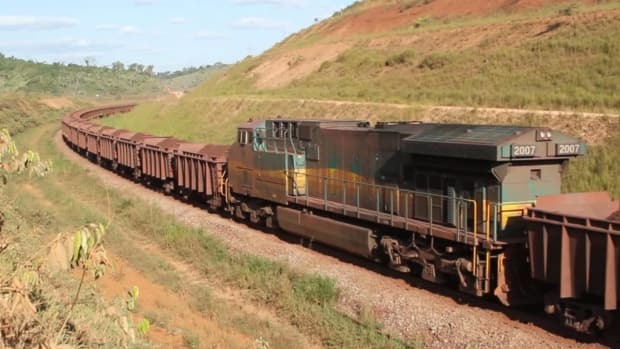 Denying that forced evictions have been part of Suape&apos;s expansion process, Caio Cavalcanti Ramos, vice president of the Suape complex, stresses that the state-run company negotiates with residents being displaced. “All the time that you need to [displace] a person inside Suape, besides all the money that they get, [an indemnity] ... they have the opportunity to choose between a new house or a small, family farm.” Ramos detailed that his firm distributed 1,100 hectares (about 2,700 acres, or four-and-a-quarter square miles) in 2013 for farm use and that it has another 2,000 hectares to parcel out this year. He also pointed out that the sanitary conditions in the new homes are far superior to that in many of the structures where residents lived previously. Cozic and others, however, contest that often the compensation offered is inadequate. Luis David da Silva is a thin, elderly man with stooped shoulders and skin deeply lined from many long days in the sun. He tells Pacific Standard that he and his extended family were given 18,000 Reals (approximately US$8,100) for their 10-hectare farm. But with the influx of tens of thousands of workers to build out the complex&apos;s expansion, land prices and rents have skyrocketed and that payout can’t replace what he lost. Francisco “Chico” da Silva, a housing advocate in Cabo de Santo Agostinho, criticized Suape&apos;s plan to build a housing complex there with 2,500 units for displaced residents. “The issue for these people is also access to land and jobs,” he says, explaining that the majority of the people being removed from the land around the port have no formal work skills and often little education. This combination of circumstances, da Silva stresses, can easily lead people into using and selling drugs. 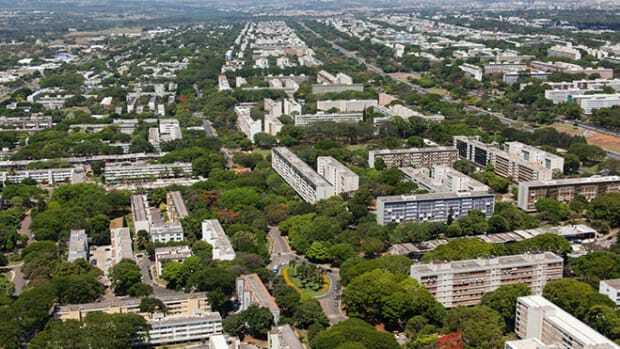 As the construction period comes to an end, many of these workers will now re-locate, but the landscape around the complex has changed irreversibly, both environmentally and socially. 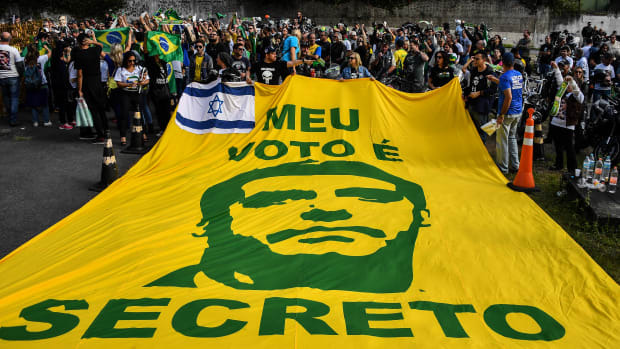 Many hope the 2018 election will give Brazilian democracy a much-needed restart, but given the circumstances of corruption and bad candidates, that seems like a long shot.